This article first appeared in The Edge Financial Daily, on November 30, 2017. KUALA LUMPUR: Malaysian oil palm concession maps have been left out by the Roundtable on Sustainable Palm Oil (RSPO) from public viewing, as it may infringe the Official Secrets Act 1972 (OSA), the certification scheme body said. “We have been told by our lawyers that the Malaysian maps may be under the OSA [and] we want to be on the right side of the law, so we will leave it at that. “However, Sabah has told us categorically that it is absolutely okay with their maps being made public, because its land is a state matter. 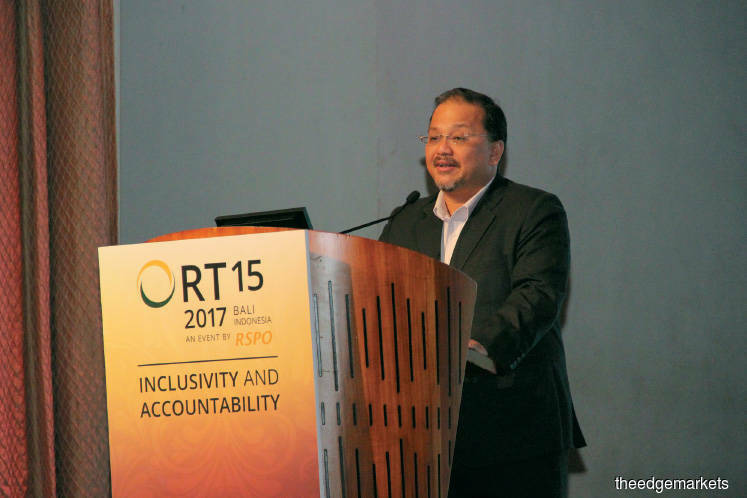 So for Sabah, [RSPO] members’ maps are published on our website," said RSPO chief executive officer Datuk Darrel Webber. Total RSPO-certified growers’ palm oil concession land measures about 945,619ha in Malaysia. Of that, some 362,755.63ha are in Sabah. RSPO started putting up the concession maps of its members from around the world in June this year to enable public monitoring of hotspots, when peatland fires occur in oil palm plantations. Speaking in a live telecast media conference after the opening of RSPO’s 15th Annual Roundtable Meeting in Bali, Webber said the real test is to contain forest fires during a long drought season. “The drought is now shortened with lots of rain, and there has been tremendous effort on the ground to do better every year. RSPO has put up concession maps of its members. So if there are fires again, we will be able to monitor the website to see how they impact surrounding areas,” he added. On the European Union’s single certification standard, he expresses hope that the bloc would consider RSPO's based on its attributes as a rigorous standard, and that it delivers on impacts on the ground, and addresses issues of cost and benefit. “However, I think it is early days [to comment further]. Everyone has their own interpretation; we have ours. The EU Parliament has asked the [EU] Commission to look into how to deliver on the resolution. As far as we are concerned, it is non-binding,” he said. The roundtable meeting will be conducting the third review of the scheme’s principles and criteria, focusing on zero deforestation, and finding local solutions to address problems including those affecting the less privileged groups. To date, RSPO has 3,500 members from 90 countries, including a 40% increase in China, and 62% in North America. "We are in 90 countries, including new markets and producer countries such as Liberia, Sierra Leone, Cote d’ivoire, El Salvador and Nicaragua. We should hit 4,000 members [by] mid-2018,” he said.